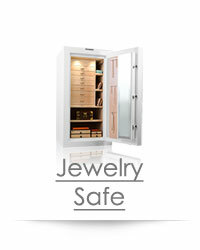 Luxury Jewelry Safe Buying Tips - Buying Guide to Safes with Jewelry Boxes, Jewelry Chests, and Jewelry Storage - Brown Safe Mfg. 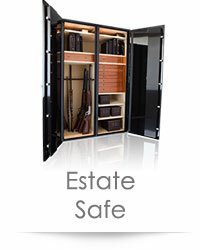 A luxury safe is a high-grade burglary safe with optional fire protection and extensive upgrades to vastly improve on convenience, appearance, and organization. 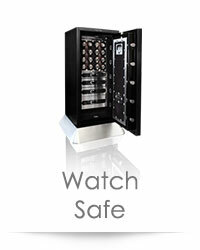 These highly configurable safes can even include custom jewelry storage with modular drawer insert systems, and watch storage options, including automatic watch-winder panels. 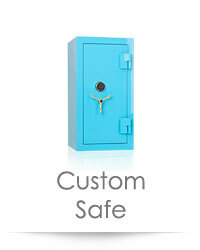 Luxury safes commonly offer increased protection levels and come standard with many advanced protection features. Great way to organize and store jewelry while gaining quick access to all your valuables. Jewelry drawer layouts should offer variety and be easy to add and remove, allowing you to order new layouts as your collection grows or your needs change. See our selection available jewelry drawer layouts. We can produce custom interior drawer layouts to accommodate any specialty items within your jewelry collection. Try to provide enough room outside the safe for the door to open to 135°. 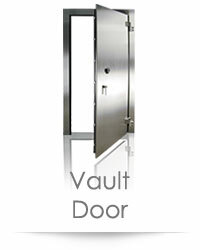 This allows the inner door elements to swing clear, providing full, unobstructed access the safe's contents and maximizing the amount of available interior space. This holds especially true for safes with drawers, as a 135° door swing allows the drawers to fill the entire horizontal range of the safe's interior. 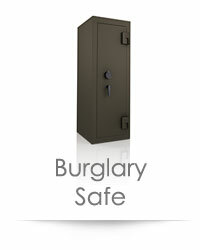 If the safe will be in a cabinet or the safe door will be stopped by a wall, you'll need to specify a door swing of 90°. This means the drawers will be narrowed 1" to 2" to prevent them from being blocked by the door. 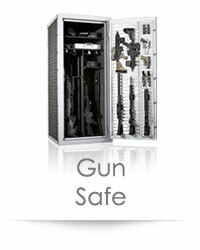 You should also consider which side of the safe you'll want the hinge on to allow for the most convenient access. Since the drawers of a luxury safe tend to get the most use, we suggest you position them at a height that allows you to both see into every drawer while standing and take items from each drawer without excessive bending. Our larger models, like the Gem 6018, allow the highest degree of drawer-mounting flexibility. Drawers can be positioned at the top, center, or bottom of the safe. Custom pedestal risers are available in any size. The pedestal elevates the safe off the floor to a height that provides you with optimum access to your entire collection. 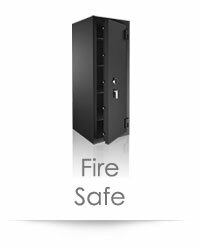 If you are considering one of our smaller models, you may want to order the safe with a pedestal or have it built into existing shelving in order to raise it to a convenient height.